They say that the best things come in small packages, and that is definitely the case with the introduction of two Limited Edition iFoto tripod kits. 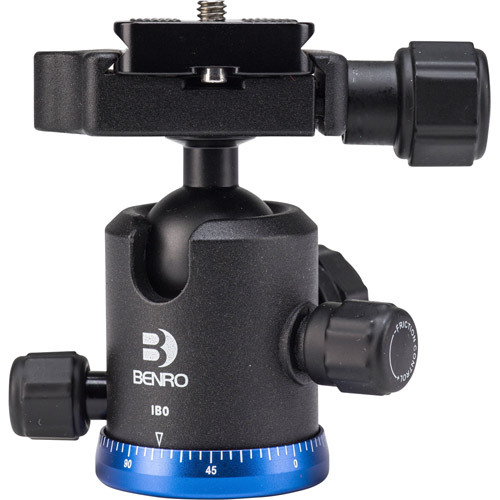 Perfect for photographers who wish to travel with a super compact, yet capable tripod. 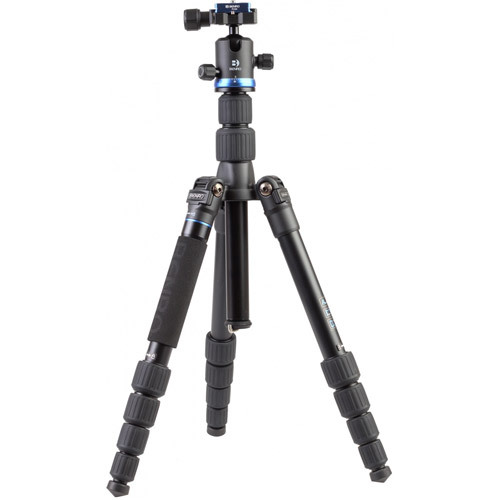 These iFoto kits feature a detachable leg, which combined with the centre column creates a monopod, making these limited edition tripods the perfect all in one travel combination! 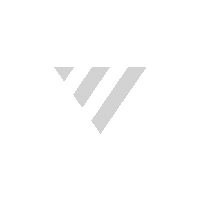 The IFoto is available in two versions – a super lightweight carbon fibre model weighing in at just 1.41kg and a still-fly-weight aluminium version coming in at 1.64kg. Utilising 5 section legs these tripods, including the head fold down to just 36cm long – perfect to pack in your luggage or on your backpack when you head out on your next photographic adventure. Despite their compact nature both models are capable of supporting up to 8kg of camera equipment, making them suitable for both DSLR and Mirrorless photographers. 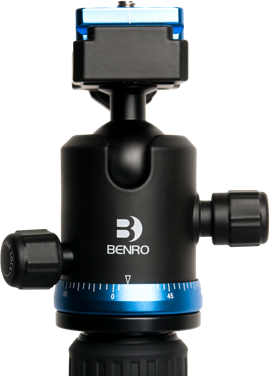 Both kits come supplied with an interchangeable Arca-compatible Benro IB ball head – a triple action head that in addition to the ball lock features a friction control and independent pan lock. 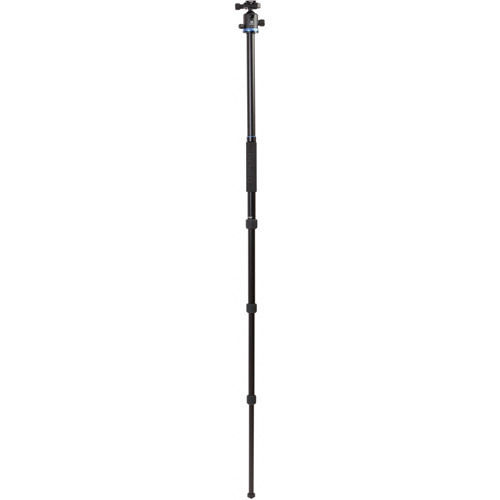 The legs feature high quality rubber coated twist leg locks for maximum comfort and grip whilst adjusting the tripod height, the leg angles can be adjusted so the tripod can be used at low level and if needed, the centre column can be reversed for ‘ground level’ photography. In addition, both kits come with a set of spiked feet – all supplied in a high quality carrying case. 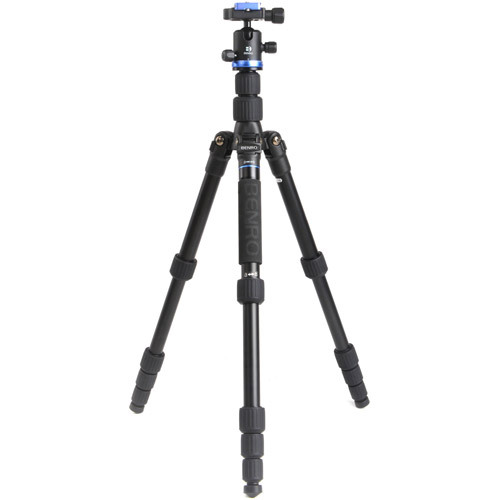 Utilising the technology and features found on our more expensive, award winning Travel Angel tripods, these iFoto kits are sure to prove popular and sell quickly, so to avoid disappointment make sure you buy your new tripod kit quickly. The maximim load of this tripod is higher than most standard DSLR setups. 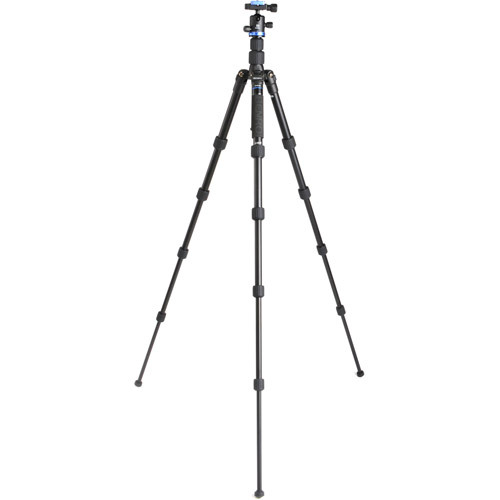 5 leg sections with 4 quarter turn leg locks make this this large tripod fold up small. Diameter of the largest leg tube. Diameter of the smallest leg tube. Total weight of the tripod and head. Small enough to attach to most photography backpacks. Total height with the centre column retracted. At maximum height with the centre column fully extended. The centre column can also be reversed allowing floor level shooting. Unscrew one of the legs to make this tripod a sturdy monopod.